Search for the latest Tivoli by the Sea condos for sale in Sandestin Resort in Miramar Beach, FL. Learn more about this community with our local Tivoli by the Sea Guide. Explore other Sandestin Resort communities and listings. Tivoli by the Sea is a Mediterranean style condominium complex, composed of 5 buildings on the beachside of the Sandestin Golf & Beach Resort. 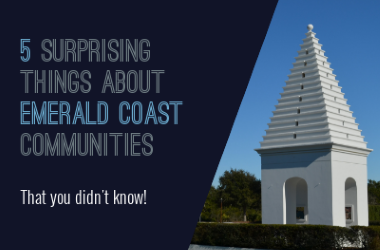 It is located south and east of the South Gate and sits at the highest elevation in Sandestin. Units may feature picturesque views of the 13 or 15th fairways of the championship Baytowne Golf Course. There are 84 units with 2 and 3-bedroom floor plans. A private community pool is available to owners and their guests. Short-term rentals are allowed. Phase I includes 28 units (220-5247). You can find Tivoli of the Sea Phase I governing documents posted here. Tivoli by the Sea has a similar name, architectural details, and proximity within the resort to Tivoli Terrace. However, Tivoli Terrace is townhomes with 2-car garages. Another Tivoli neighborhood is Tivoli Ridge, which is single-family homes. The listings on this page include homes in Tivoli by the Sea in Sandestin Resort in Miramar Beach, FL. If you’re interested in scheduling a showing or learning more about any one of these homes, simply fill in your contact information and click the “Request More Info” button. Our team is here to provide you with any information you need, including disclosures, the sales history of a property and nearby market data.